Approx 11″ Tall Hankerchief style Centrepiece Vase. Decorated in a landscape pattern, using various oxides and frits. A stunning work of art. 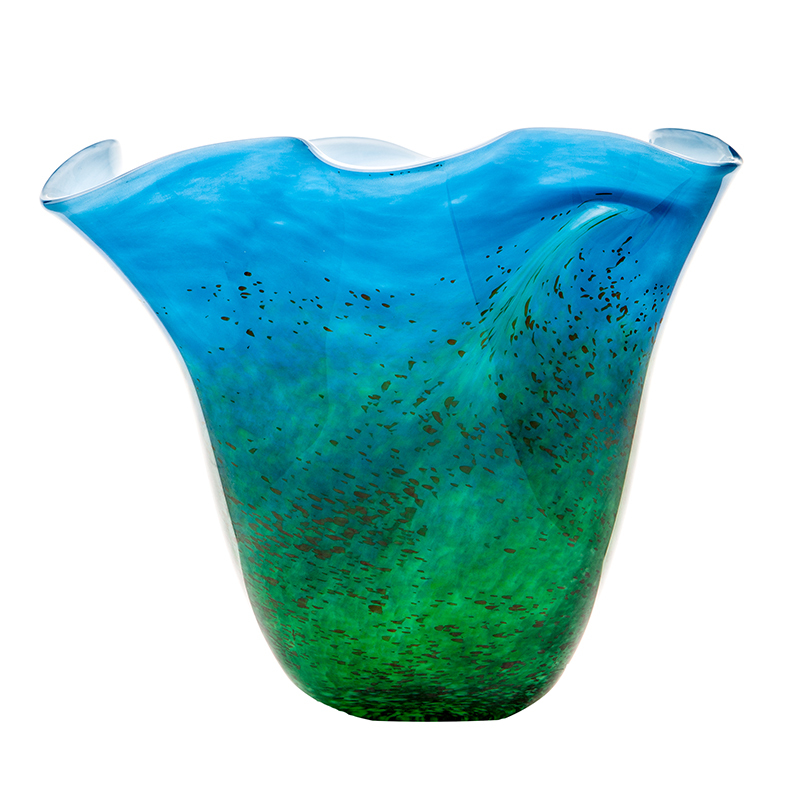 The Horizon Centrepiece Vase was inspired by the beautiful Autumn scenery in Ireland. Blown using various forms of colour oxides, and frits, each piece takes a team of blowers approx 1 hour to produce. A stunning work of art.